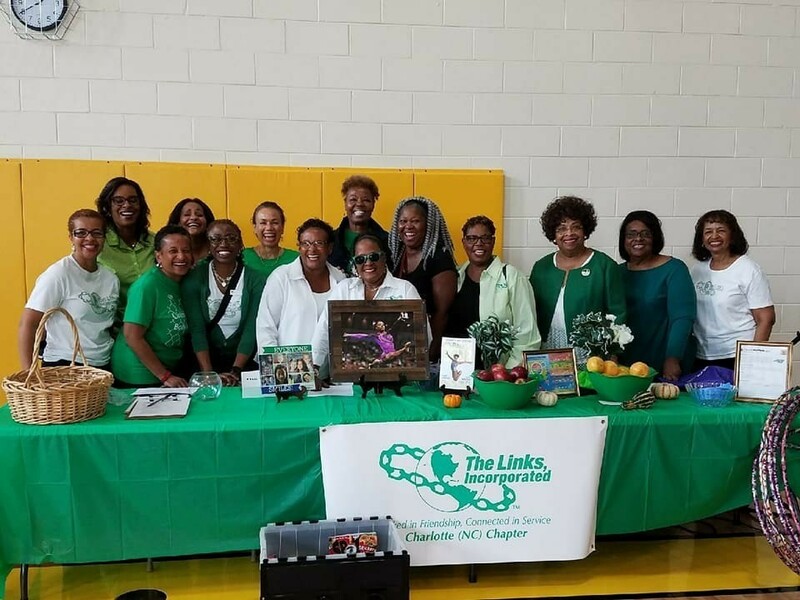 The Charlotte (NC) Chapter of The Links, Incorporated, was chartered on December 3, 1955 thanks to visionary charter organizers Isabelle Felder and Edna Morris and sponsor chapter, Rocky Mount Tarboro (NC). 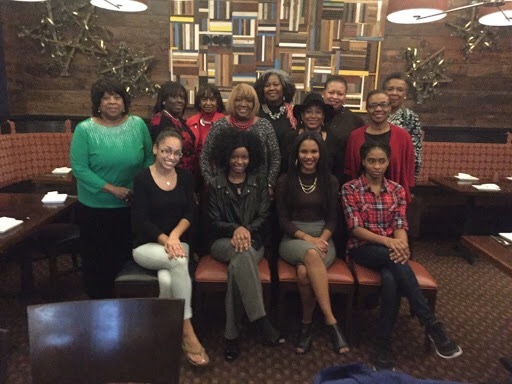 The following 12 women joined Ms. Felder and Ms. Morris to charter the Charlotte (NC) Chapter: Bobby Alexander, Cora Booton, Julia Bolding, Thelma Byers, Fannie Dobson, Novella Flanagan, Gladys Greene, Aurelia Henderson, Ruby Martin, Catherine Stinson, Nancy Williams, and Maria Wynn. The Chapter has grown to 64 members and includes entrepreneurs, doctors, nurses, judges, lawyers, bankers, educators, social workers, writers, community activists, and volunteers. Watch here to learn more about the Charlotte (NC) Chapter. Since 1958, the Chapter has awarded an annual College Scholarship to Mecklenburg County high school seniors. Past recipients have attended Johnson C. Smith University, Syracuse University, Duke University, North Carolina A & T State University, and Central Piedmont Community College to name a few. 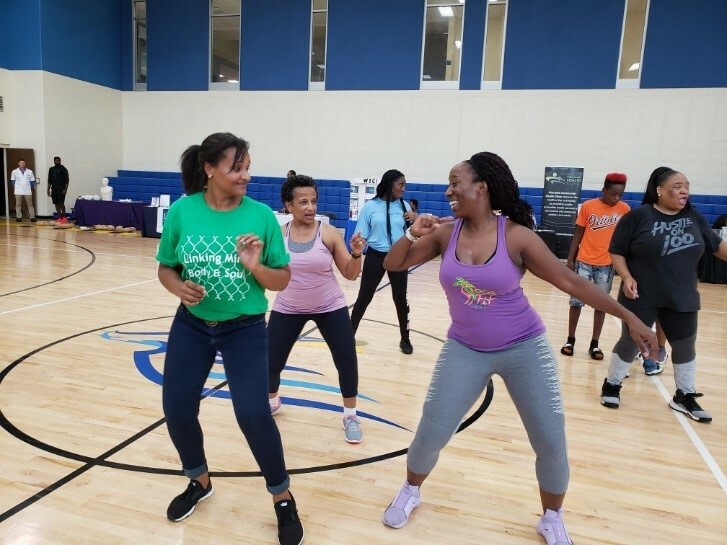 In 2018, the Charlotte (NC) Chapter kicked off its program year at the 2nd Annual Renaissance West Health Fair. The Chapter continues to partner with the Renaissance West Community and Renaissance West Steam Academy in connection with its umbrella program, “Linking Mind, Body & Spirit: Fit for Life.” Members led activities including: health education, dance instruction and food across the Diaspora, and reading, rap and hula hoop contests. There were approximately 12 other community partners in attendance who provided health services, screenings, fresh produce, and flu shots. 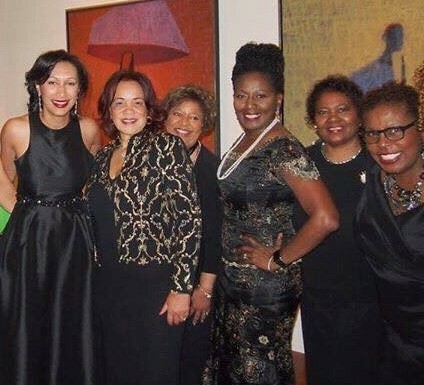 In 2015, the Charlotte (NC) Chapter celebrated 60 years of Friendship and Service. The 16th National President of The Links, Incorporated Dr. Glenda Newell-Harris and the 19th Southern Area Director of The Links, Incorporated Ms. Anne T. Herriott joined the Chapter for its 60th Diamond Jubilee weekend festivities, which included a formal celebration held at the Foundation For The Carolinas, a fashion show, and a Stevie Wonder concert. 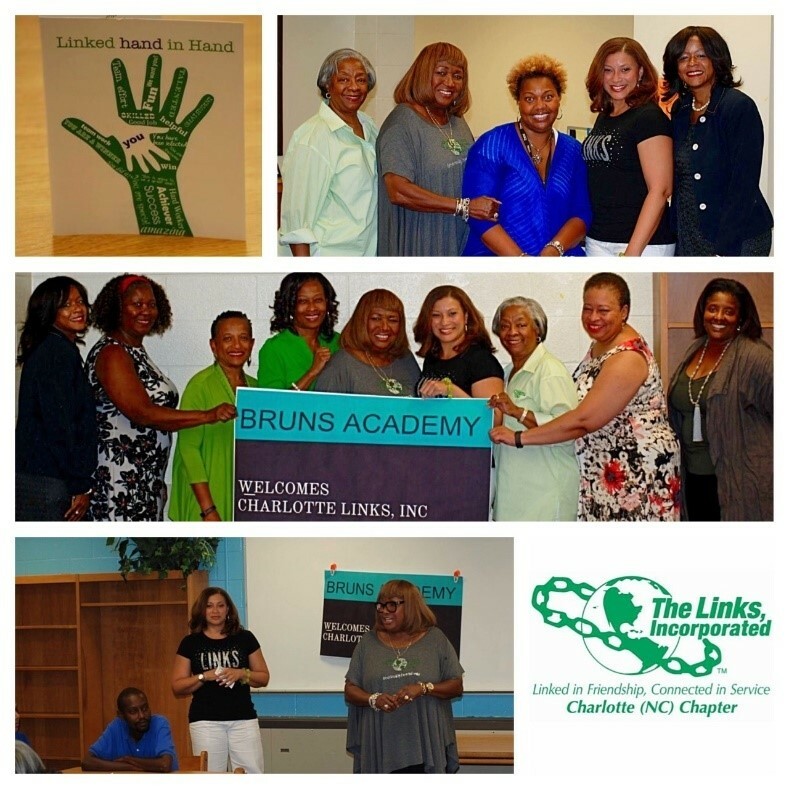 In 2015, the Charlotte (NC) Chapter’s Services to Youth Facet program entitled “Links Catalyzing the Community” was recognized as a Best Practice Mentoring Program and was awarded a $5,000.00 grant from The Links Foundation, Inc. The grant was used to continue the Chapter’s programming impacting African American males attending Charlotte-Mecklenburg County School Bruns Academy (K-6). 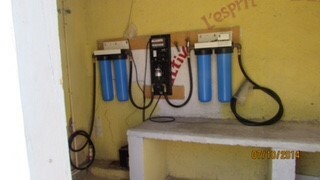 In 2014, the Chapter partnered with the Wilmington (NC) Chapter on a project called “Links Arms for Education and Hope: The CECM Experience.” The Chapters raised funds to purchase and install a water purification system in a community in Jacmel, Haiti. In addition, the Chapter sponsored 10 students to attend Centre D’Etudes Classiques de Meyer (“CECM”), a 1st – 13th grades non-profit school in Jacmel. In July 2014, the Chapter traveled to Jacmel to hand deliver Survival Kits, give presentations to CECM and University students, and participate in CECM’s graduation ceremony. 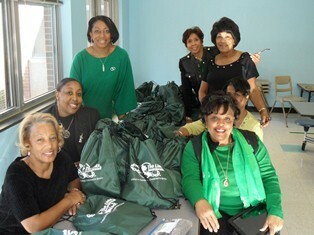 In 2013, the Chapter was selected as one of 36 chapters to receive a sub-grant from The Links Foundation, Incorporated. The sub-grant was a part of a $70,000.00 grant from AT&T to The Links Foundation, Inc. to help eliminate the STEM academic achievement gap for students of color. The Chapter partnered with Charlotte-Mecklenburg County School Bruns Academy (K-6) and delivered The Links, Incorporated’s “STEM – ULATING Left Brain and Right Brain” Grant Program to hundreds of students. In 2012, the Chapter partnered with the Wilmington (NC) Chapter and Fayetteville (NC) Chapter on a project called “Links Arms for Education and Hope: The CECM Experience”. The Chapters assembled and shipped over 300 Survival Kits to the women and children that attended CECM in Jacmel, Haiti. In 2011, in response to the national and statewide childhood obesity crisis, the Chapter developed and implemented a two-year umbrella 5 Facet program called “Families In Training and Mentoring Program (FIT).” The Program was a health-centered and promoted health and wellness through mentoring, education, self-awareness and physical fitness in a fun and entertaining environment. It included six modules that focused on portion control, fast food facts, how to make food decisions based on the food pyramid, knowledge and understanding of Body Mass Index, healthy low-cost food choices, and low cost, safe exercise options. FIT lesson plans were delivered to many underserved children and families in the Charlotte community. The Chapter provided supplies and financial assistance to victims of Hurricane Ike in Haiti (2008) and Hurricane Katrina in New Orleans, LA (2005). In 2006, the Southern Area of The Links, Incorporated along with co-hosts, Charlotte (NC) Chapter, Crown Jewels (NC) Chapter, and Piedmont (NC) Chapter held a fundraiser in Charlotte, NC entitled “In Concert with Education” featuring Nancy Wilson. Over $500,000.00 was raised for the benefit of HBCUs. In 2004, partnered with the Junior League of Charlotte and the Crown Jewels (NC) Chapter to raise $200,000.00 at the Nordstrom SouthPark opening in Charlotte, NC. The organizations donated a Computer Literacy Lab to be used by the underserved families that frequent the Ivory-Baker Recreation Center. In 1999, co-hosted the Southern Area Conference with the Crown Jewels (NC) Chapter and Piedmont (NC) Chapter. In 1992, sponsored the Crown Jewels (NC) Chapter of The Links, Incorporated, the second chapter in the Charlotte area. In the 1990s, provided financial assistance for a mini-park in the Greenville-Historic Charlotte Neighborhood. In the 1970s, co-sponsored The Charlotte Symphony concerts in the Charlotte, NC African American community. Developed and implemented the “Children Achieving Success” signature program in the Double Oaks community. Over the years, the Charlotte (NC) Chapter sponsored Town Halls, forums, Donor Sabbath presentations, participated in breast cancer awareness walks, sponsored Career Days at schools, local art contests and exhibits, held Walk-A-Thons and free fitness events, provided free lunches to underserved community members, and given hundreds of thousands of dollars to local non-profit organizations, churches, and schools that serve the Charlotte African American community.